When an organization's mission is to connect people who care with causes that matter, you can bet Estipona Group wants in on that action. 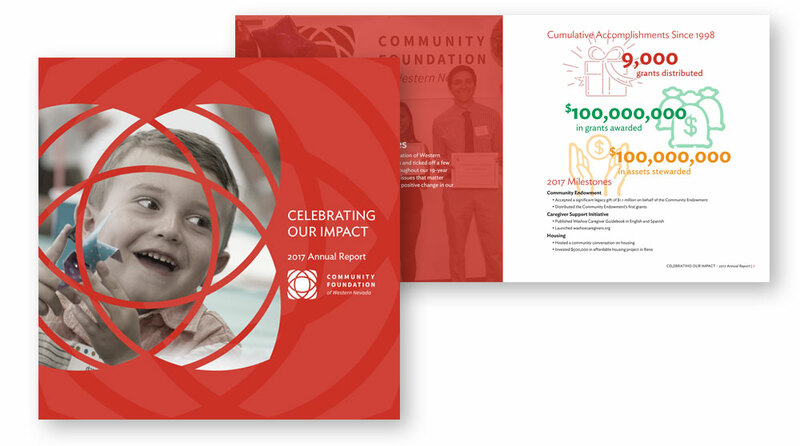 So for the second year in a row, we've supported the work – and the mission – of the Community of Foundation of Western Nevada by creating their annual report. This undertaking includes theming, writing and designing the 56-page printed piece. And we must say, it's a real page turner (for real, it's packed with inspiring stories). You too can support the work of this great local organization doing great work in our community with your time, treasure, ideas and skills.